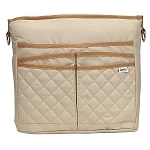 Deluxe Saddle Armrest Bag provides convenient storage with side pockets and zippered interior pocket. Large convenient storage area with zippered interior pocket. Large convenient storage area with zippered interior pocket and added outside pockets. Zippered interior and exterior pockets. Fits on inside or outside of wheelchair and scooter arm rests. 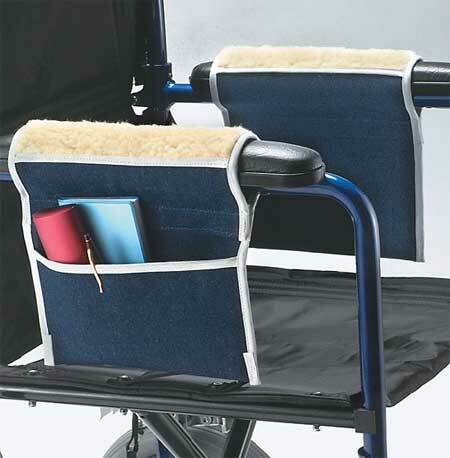 The Deluxe Saddle Armrest Bag attaches to both wheelchair and scooter armrests using a "soft to the skin" mounting system. This armrest bag features a large convenient storage area with zippered interior pocket and added outside pockets. 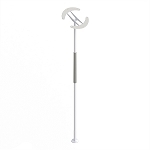 The saddle style bag can be mounted on the inside or outside of armrest. 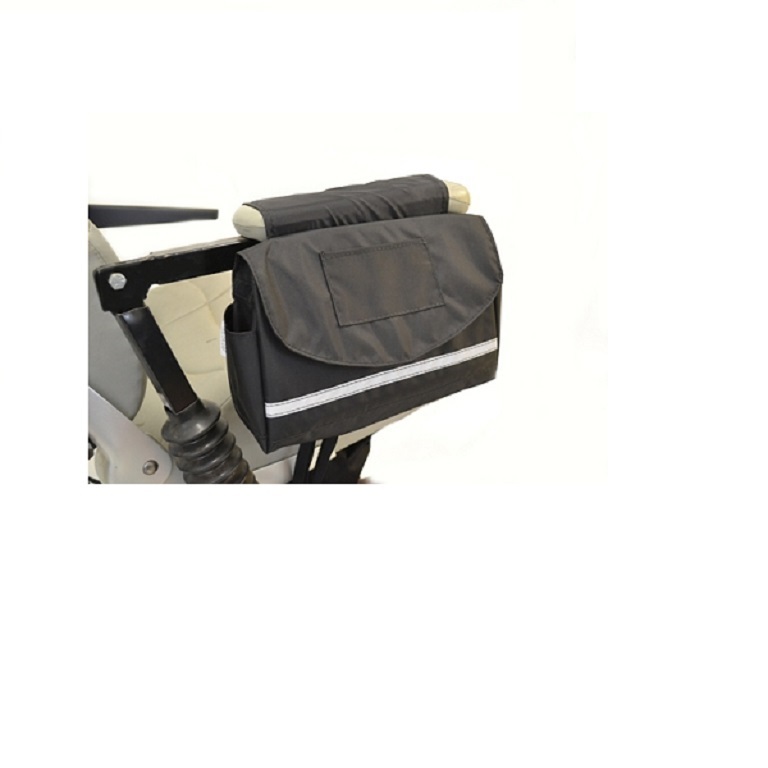 The Deluxe Saddle Armrest Bag measures 10 inches wide, 8 inches long, 3 inches deep. 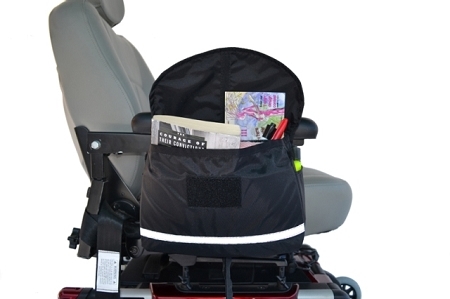 Wheelchair and scooter users will find this deluxe bag made of durable black nylon material is keeps their personal belongings secure and easily accessible. 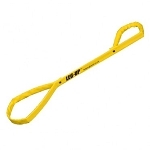 Measures: 10 inches long, 8 inches wide, 3 inches deep. Like the armrest bag, it holds most everything I need to carry with. Looks like it is of quality to last years. I have had the Saddle Armrest Bag for over a month and it is great. I travel around the community with my motorized chair and this holds all of my personal items with room to spare. I can even get my e-reader in it. 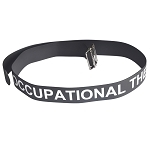 You cannot go wrong with this wonderful item. I have not been able to tether the bag to my chair. I have to wait until I fall the next time and then I will do that. LOL. I fall frequently and all I see is the carpet dirt...now I will have a reason. THE DELUXE SADDLEBAG I RECEIVE EXCEEDED MY EXPECTATIONS, WORKS AND LOOKS GREAT, THANK YOU FOR PROVIDING ME AN EXCELLENT PRODUCT. The designers must never have tried this out in the real world. The straps for attaching it to the chair arms are too short--I'd had to add Velcro to the arm itself to attach it. The closure Velcro on the front is positioned too low so there is no closure when the bag is full -- I had to add Velcro above it. There is no stiffener on the bottom so the bag does not hold it's shape--I'm trying a heavy cardboard but see I have to tack it in with thread. The open back pocket is worthless. On the good side it is made of heavy material. Q: What is the difference in sizes between the standard saddle bag and this deluxe saddle bag? A: Both bags measures: 10 inches wide x 8 inches long x 3 inches deep but the Deluxe Saddle Armrest Bag features a large convenient storage area with zippered interior pocket and added outside pockets and the Standard Saddle Armrest Bag is a large single pocket storage bag. Q: what are the measurements of the deluxe saddle armrest bag? will it fit a urinal? A: The Deluxe Saddle Armrest Bag measures 10 inches wide, 8 inches long, 3 inches deep. The bag is designed for wheelchairs or scooters but if the "urinal" has armrests the bag should work.